University of Alabama scientists have started clinical trials to see if a commonly-prescribed medication for blood pressure and can reverse diabetes in mice is able do the same thing with humans. Researchers from the Birmingham campus are enrolling around 50 patients who have been recently diagnosed with Type 1 Diabetes. Daphne Powell, who has suffered with diabetes since she was a girl, said it’s a burdensome disease with the first thing to deal with in the morning is to check the blood sugar level. Powell has to do shots, deal with finger pricks and use a pump. She said to think she won’t have to do that after 35 years is very exciting. There are many patients who think like Powell who can’t wait for the possible outcome of this clinical trial. According to the director of UAB’s Comprehensive Diabetes Center Dr. Anath Shaley, the blood pressure drug Verapamil can inhibit a protein that’s deadly to the beta cell, which is the source of insulin needed to control blood sugar. Shaley said saving the beta cells is what the clinical trial needs. 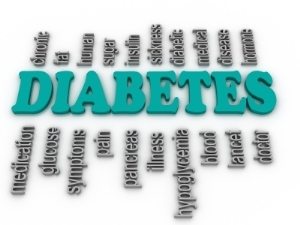 She said doctors know that the loss of beta cells is a key reason for diabetes – type one and two – but there have been no therapies to deal with it Shaley said it’s the first time something has been found to work, at least according to the models. The FDA has already approved Verapamil, and it works in mice to treat diabetes. Shaley said some treatments didn’t work because they were focused on the immune system. With this treatment, the immune system is not involved. Shaley said she believes the drug can be successful in humans along with animals. She said the best thing would be a complete cure although a tiny effect can be extremely beneficial for diabetes patients. She also said the risks for harm are minimal since the drug has been used for 30 years now. The clinical trial is set to last for three years. And, if it’s successful, it would be quickly put to use. Posted by admin on Nov 10 2014. Filed under Featured, Health, New. You can follow any responses to this entry through the RSS 2.0. Both comments and pings are currently closed.